Radio zhakkas Marathi FM Live Streaming Online . 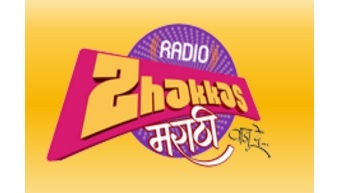 Listen to marathi FM radio stations live online . Enjoy Live Streaming Of marathi Songs , News 24 by 7 Online . FM will play Well in Google Chrome browser . To Listen this station in Ipad/Iphone/Android Devices etc use google Chrome browser . FM will start playing automatically . Refresh the page once if FM stops in between . Contact us if You have any Queries . Plot No. 3, 2nd Floor Sanghavi Nivas, Saket Nagar, Dhadiwal Lay-Out, Near Indrayani TVS Show Room, Suyog Nagar Square, Nagpur 440027. Note : We are not broadcasting this radio station .